Recently in one of the classes that I'm taking this semester, we discussed who we thought were the top ten most influential people in the world-when the final class list emerged, I was shocked that there were no women on that list. In that moment, I decided to make sure to dedicate a blog post to the women that I would love to gather around my table for brunch (living or dead) and not only celebrate with, but also just to talk to, to learn more about them and their amazing contributions. Some on my list will be serious and some will be funny, but all will be women that I have a strong interest in knowing. Plus, isn't brunch just so much fun? Mimosas, finger sandwiches, etc. All the best things in life are stars of brunch. We should make it a more common thing. But I digress. Here are the women I would invite to my hypothetical ladies brunch. . .
Not only am I featuring her because it's Breast Cancer Awareness month, but also I'm featuring her because of her story, which you can read here. 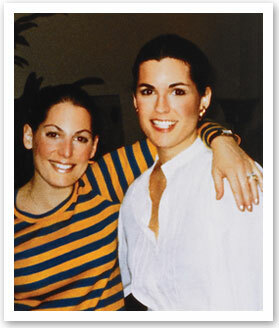 Susan's sister, Nancy (on the right), started the foundation named after her sister. Susan's death at the age of 36 at the hands of breast cancer, was a catalyst to not only bringing billions of dollars to research, but also awareness for those suffering from breast cancer. Even as Susan was dying herself, she was thinking of others-not only did she want a cure, she wanted the waiting rooms to be more comfortable and colorful for the patients who were waiting on appointments-she was selfless. I would be proud to have her at my brunch table. Everyone is talking about feminism these days, but if you really want to know about the fight for women's rights, you would have to sit down with Susan B. Anthony. I fought for her to make it onto my classes top ten list, but I guess there were just too many guys in that class who outvoted me. I would love to hear her stories about her women's rights convention at Senaca Falls. I am just absolutely in awe and inspired by her. I swear, I'm honestly not that much of a feminist, but I am so inspired by women that fought for our right to do anything that a man can do. It also cracks me up that she met her husband in a shooting match, anything he could do-she could do better. She also was a defender of girl's with guns, which I am also a defender of. I think every woman has the right to be able to defend herself with a weapon if she chooses to learn how to use one. I'm sure Annie would have some hilarious and also wise stories to share over brunch. Since Helen is a Bama Belle just like me, I would love to have her at my table. Her story is so inspiring. She was the first deaf-blind person to ever earn a college degree, so when I think I can't do something I have to remember that I was blessed with abilities and be thankful for what I have. Her story has always taught me that I can do anything I put my mind to. I can't imagine what all she had to go through, but I know I would learn so much from her. Every time I had to write a paper on a First Lady when I was in school, I wrote about Mrs. Jackie Kennedy. She was not only stylish and fashionable (I wonder what she would wear to brunch? ), but she was also so strong in the face of her husband's deaf & an amazing mother. She was also a huge advocate for historic preservation, which I love because I'm a history major/history nerd. She would be a classy and graceful edition to my brunch table. Not only is she unbelievably classy and elegant, Katie is also inspiring. having a colonoscopy performed on tv to raise awareness after her husband's death from colon cancer. She was also the first woman solo news anchor, which is an amazing feat in itself. She would have so many amazing stories of all the people she's met and the places she's been, it would be amazing to talk with her over brunch. Linda and her husband, Pat, have been favorites of mine for a long, long time. They created Parelli Natural Horsemanship, which is a method of training horses in a natural way-instead of simply "breaking" horses. 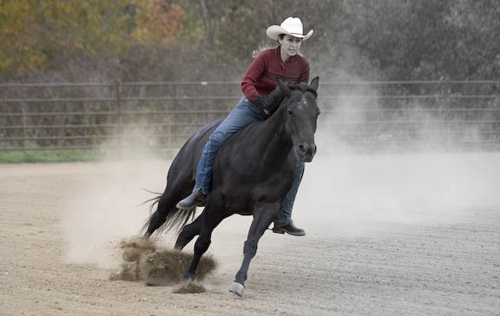 She met her husband when she had a "problem" horse that she needed "fixed" and she discovered at one of his clinics that she had been looking at the horse all wrong. She and her husband travel the world teaching their methods, but I would love to have her at my brunch table so that I could learn more too! Her most famous routine is here, which is a reining routine she dedicated to her father who did just over a month before she did the routine, she used the song Live Like You Were Dying and the routine just gives me chills every single time I watch it. She does clinics all over the country, sharing her techniques & was the winner of the prestigious Road To The Horse competition (where she faced many famous trainers). She's basically the epitome of girl-power & I would love to chat with her in person. I know what y'all are thinking, but Paula Deen was an inspiring lady. Her parents died when she was only in her 20's and she suffered from anxiety. She used her cooking as a focus to ground her when her anxiety got too bad. She divorced her husband, Jimmy Deen, later in life and was left raising two young sons as well as her brother. She tried many different jobs to make ends meet until she discovered her knack for catering. Now look at her, she has an entire empire. I love her almost as much as she loves butter, almost. I think she would be so much fun to have at brunch, heck-I would love for her to help me throw the brunch! Thank y'all for visiting today & I hope y'all enjoyed my little "brunch". I know that's quite a list of ladies, but I love each of them and I think that I could gain something from all of them. We would have quite the cast, wouldn't we? Now tell me, who would you invite? 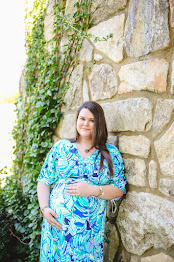 Leave a comment down below or a link to your blog post about this! Do you want to have equal rights to men? Then you're a feminist - check out Helen Mirren's (a lady I would love to have at brunch) recent comments on the matter. I love your blog, but saying you "aren't much of a feminist" is a misinformed statement. Thank you so much for your comment! I think what I was trying to say (but it didn't come out this way) is that I've never considered myself a feminist before, but after reading some of the things Hele Mirren has said (thanks to you!) I think I understand it more! Thanks again for your comment, I love constructive criticism! You're welcome! I think we've been so inundated with the idea that feminism means hating men or eschewing "girly" things that it's hard to let go of that and realize that being a feminist is just being someone who likes equal rights for men and women - bra burning totally optional! Also, Helen Mirren is the best!